Tubular Skylights are energy efficient high performance lighting systems that are cylindrical in shape and are designed to light rooms up with natural sunlight. A small clear collector dome on the roof allows sunlight to enter into a highly reflective "light pipe" that extends from the roof level to the ceiling level. 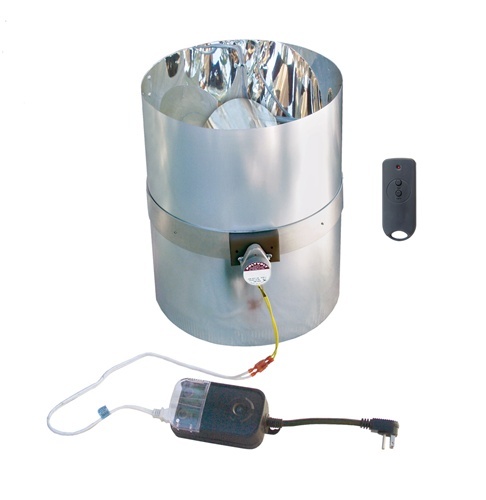 The light pipe is coated with a silver finish mirror quality that allows the full spectrum of sunlight to be channeled and dispersed evenly into a room through the means of a diffuser located in the ceiling. Tubular Skylights are designed not to compromise roof integrity; it minimizes the size of roof penetrations, is weather-tight in design and made to totally eliminate the chance of leaks. 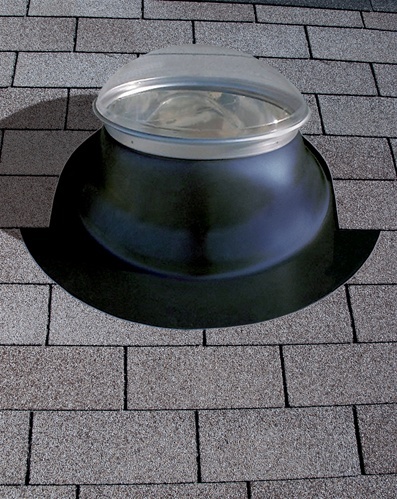 Tubular Skylights are far more efficient than traditional skylights. They install in less than two hours without the need of framework, drywall or painting. Tubular skylights are very energy efficient, with virtually no heat gain or loss associated with the system. 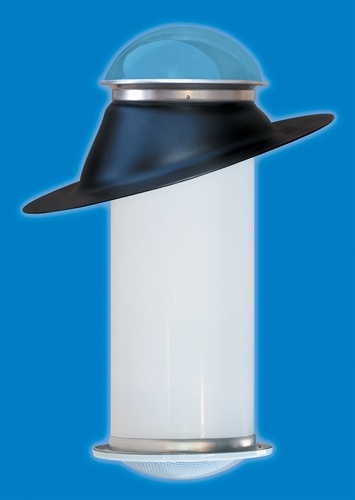 UV absorbing materials in the dome and diffuser ensure that there will be no furniture/carpet discoloration. The mirror-like light pipe provides a tremendous amount of light using a relatively small area, thus enabling installation as a possibility invirtually any area. The engineered diffuser spreads the natural light throughout the room, enhancing the true colors of the space. 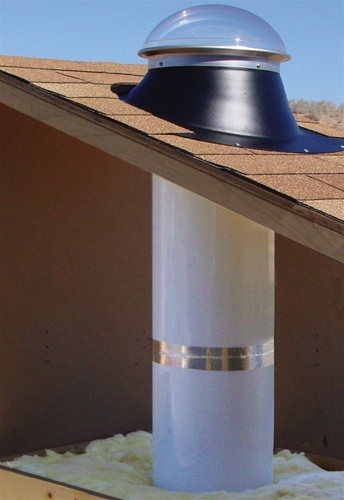 Even with all these advantages, Tubular Skylights are far less expensive than conventional skylights! Exclusive round design of flashing eases installation, minimizes shingle damage and ensures uniform expansion and contraction due to environmental effects. Our skylight uses the highest quality materials in the manufacturing process. The entire unit was designed around performance, ease of installation and being able to withstand the weathering effects of any environment. The warranty is the best in the industry, 25 years.